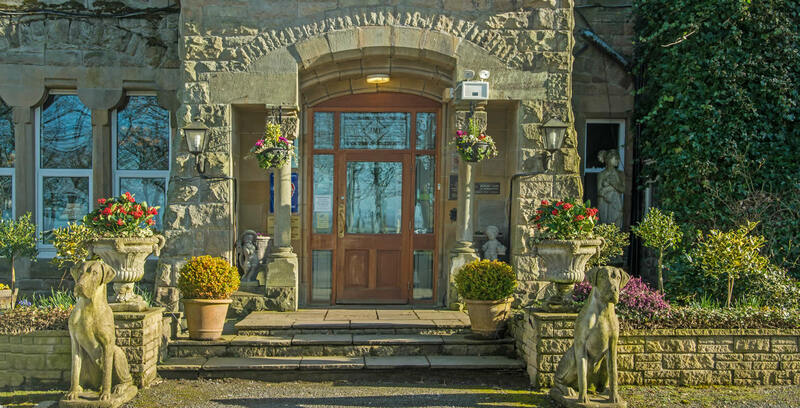 The hotel is set is a peaceful rural location in the Western Lake District. We are situated between Cockermouth and Workington, in a small hamlet with views of the Western fells and Solway coast. 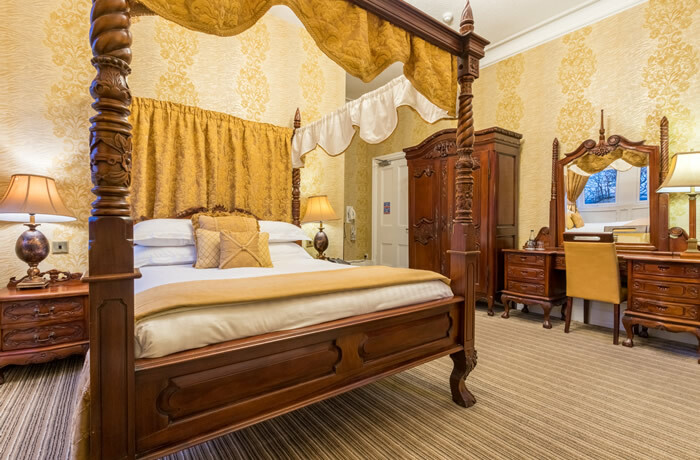 Whilst we aim to provide the best possible access for guests with limited mobility, the hotel buildings are over 150 years old and have some period features which could make access difficult. 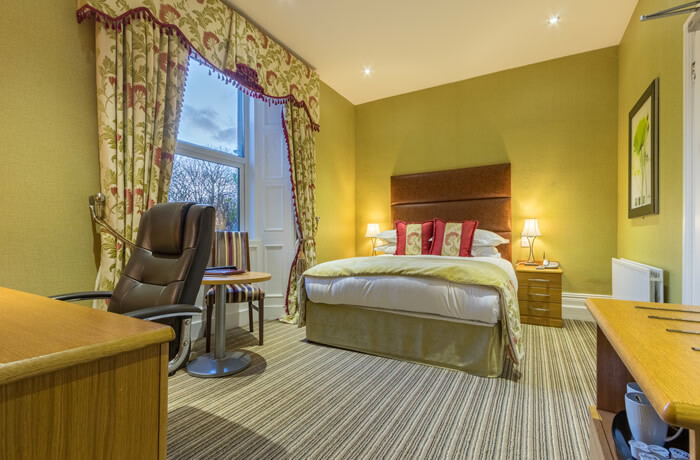 We have 27 en-suite rooms, 2 twins, 2 singles and 23 doubles. We do not have any rooms on the ground floor and there is no lift. However, our dining room, bar and lounge and main function rooms are on the ground floor and are accessible. We are 2 miles from the centre of Workington and 9 miles from Cockermouth in a rural location. The nearest train station is in Workington, which is on the Cumbrian coastal railway and is a 5 minute drive by car. This train line connects with the West Coast Mainline at Carlisle. Penrith or Carlisle are the nearest mainline train stations and are approx. 30 miles away. We have numbers for local taxi firms who have accessible taxis if required, and these can be booked for hotel guests by reception. There is a complimentary ground floor on site car parking with 80+ spaces and the car park has a gravelled surface. There are no lifts in the hotel and all guest bedrooms are located on the first floor. All public areas including reception, lounge, dining room, bar and function rooms are located on the ground floor. This excludes the boardroom which is accessed from the ground floor and has 3 steps. All corridors are light at night with lights left on all evening. The restaurant was refurbished in October 2013. There are 25 stairs leading up the bedrooms. The staircase is wide and the steps are shallow and there is a handrail. 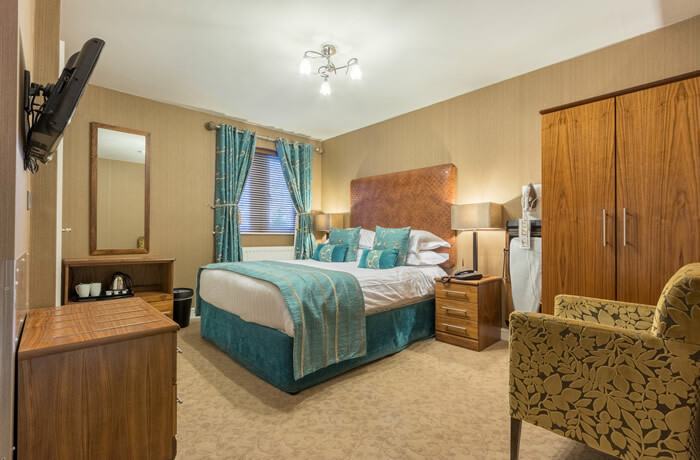 Most rooms have en-suite bathrooms which are on the same level as the bedroom and some rooms have bathrooms which have two or three steps down to the bathroom – please let us know if this would present a problem when booking. In the event of the fire alarm sounding, all guests must vacate the hotel and meet in the main car park. Fire procedures are provided on the back of each bedroom door. The Duty Manager and Receptionist on duty will be in charge of co-ordinating the fire brigade and checking the in house guest list. We do not have family rooms and children 6 and under are free of charge when using existing beds. We unfortunately do not have capacity for extra beds in our rooms. Hours of operation: Open year round except closes after lunch on Christmas day and reopens on the 28th December.